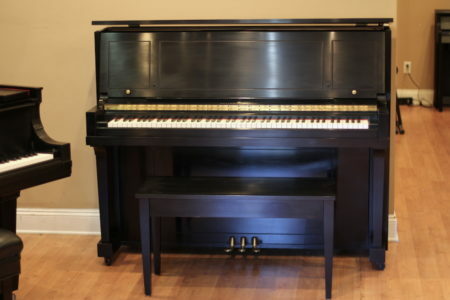 The Grotrian Concertino upright is the finest upright made. 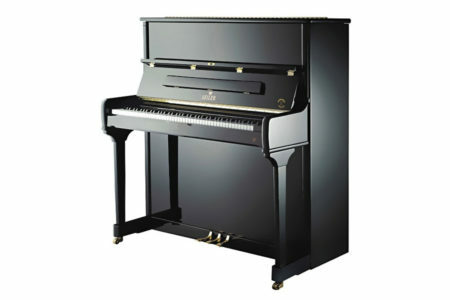 The sound and performance is exquisite, superior to all but the largest grand pianos. 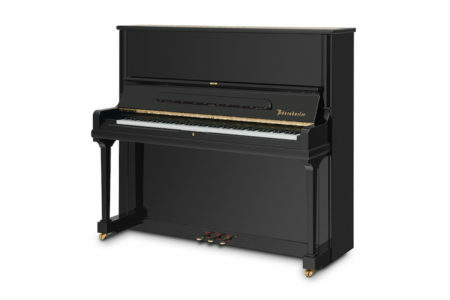 Grotrian has developed the best cabinet construction techniques to obtain maximum resonance in their soundboards. The “star” backframe offers superior rigidity and stability. The frame and sides are thicker – 2x thicker than most other makers top-of-the-line models. The sand cast iron harp is perfectly mated to the frame to precisely locate each string in 3 dimensions. This method allows for each string to efficiently deliver vibrations to the hand-made soundboard. Grotrian’s soundboards are first selected from the finest grade of European spruce. 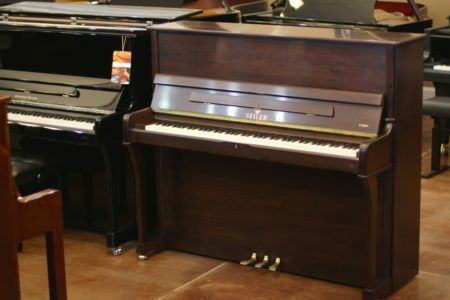 They are crafted using Grotrian’s unique methods developed over 175 years. Who would know better? This Grotrian Concertino upright also features an optional sostenuto pedal. Visit us to experience this amazing instrument. 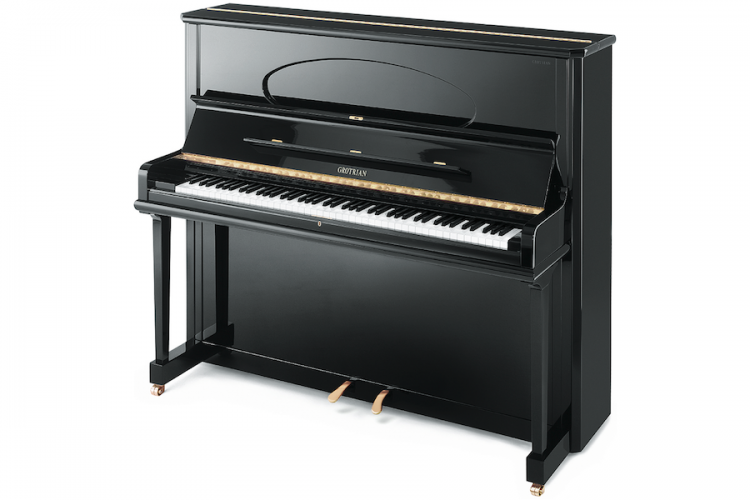 The BVK introduced the new certificate to increase market transparency for potential customers of high quality grand and upright pianos. The strict guidelines of the BVK, which requires a 100% production in Germany must be fulfilled for all instruments produced under the certified brand names by the respective manufacturers. 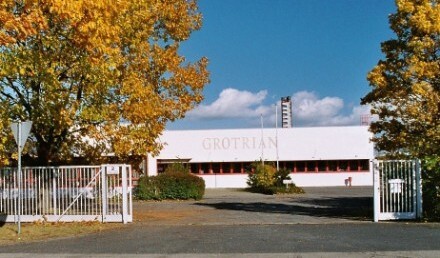 After successful certification, GROTRIAN now has the right to use the logo of the BVK »Made in Germany« for all their instruments, as well as to promote them with the certificate.